cornwallscottages.co.uk has a new website! Offering a more dynamic availability search facility, plus filters for specialist holiday cottages & homes, our new website really makes finding your ideal holiday property in Cornwall easier than ever! Individual property details have lots more photos and now we incorporate the fantastic Google Street View facility into our site to enable you to see your surroundings as if you were standing in front of your favourite holiday home! Our video tours are also constantly being updated to bring you a real sense of each holiday home. Online booking is as easy as ever and you can rest assured that the security of our site is paramount to us, so you can have absolute confidence to book online. Don't worry though, we are always at the end of the phone should you prefer to book with a real person! More facilities will be introduced to our site in the near future, so do check back regularly! We are constantly adding new and exiting properties to our portfolio in locations across Cornwall. Autumn & winter are simply fabulous times to visit the county where you can experience wild coastal walks, fantastic fireside pub meals and a superb range of great value holiday properties. Book with cornwallscottages.co.uk today! It's nice to know this. 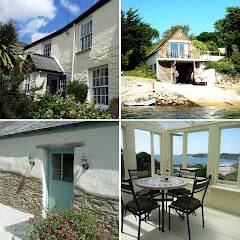 Now, its quite easy to find an ideal holiday property in such a place as Cornwall. We all know that Cornwall holiday cottages are perfect get-aways.